Home Blog How To Use Hashtags? There has been a significant rise in the use of hashtags over the years. It used to be just a mere button on your phone before it transitioned into a symbol that is universally recognized as a social media tool used to communicate powerful messages. If you happen to notice, people use hashtags so that their posts are most relevant to their targeted audience. It has been observed that hashtags that target a specific group help in connecting with the audience you desire to reach. One has to be amazed at the rate at which hashtags have managed to become a global internet language. 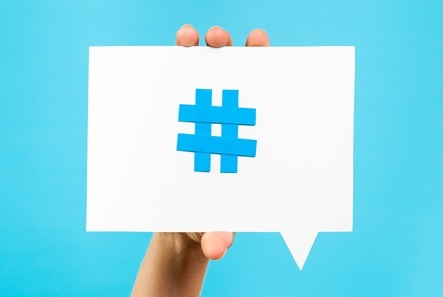 How have hashtags changed the way we communicate through social media? A hashtag which has been created with the motive of connecting to a specific group has an amplified impact rather than a hashtag which was used just for the sake of it. The motive behind hashtags must be clear otherwise it becomes pointless to use them. Hashtags also play a vital role in spreading social mindfulness. Moreover, a trending hashtag in twitter helps you to join in on the conversations relevant to the trending topics of the world. Hashtags can help you to make your content more accessible to the people who have similar interests, it can help you attract potential followers. But one must know how to use these hashtags effectively. Too much of it would put off people and too little can end up in not receiving any traffic at all. Let us try to understand how hashtags have become a vital part of our social media culture. In the world of marketing, hashtagging has made a place for itself, brands and consumer make use of them to communicate with each other. It is a very effective way to find relevant content. It is a great way to find out what is trending and the controversy of the moment. Hashtags can also help businesses to achieve new customer base as they can be used as a tool of promotion. It can help you garner the attention of customers who might not have to know about the business or the product before. Knowing the trending hashtags can also help a website developer when they have to search engine optimize. Incorporating hashtags into your content can help you to create campaigns that would help in promoting your business effectively. Social media agencies have started to realize the need to create hashtags that help them to bond with their targeted audiences. As one of the best digital marketing company, we believe in the power of hashtags and its impact on people. With content being generated every minute in all the social media platforms, these platforms are frequented by people from different walks of life to access information. Before using or creating a hashtag it is advisable that you do your homework. Your hashtag must not misinterpret what you want to convey. Chances are you might end up inviting unpleasant associations that have nothing to with the hashtag you have created. Hashtags should not be too long, it should not be just a string of words that have piled together. Something like this can defeat the purpose of its creation. It should be short and to the point. Try to create a hashtag that is more audience specific. This will help you to convey your message more effectively and help people to connect with you more efficiently. It is a way to ensure your engagement with your audience gets established successfully. This is a serious thing which should be taken into consideration. Using the wrong hashtag can lead to negative publicity as it can get misinterpreted. If you differentiate the words by just capitalizing the first letter of the words, it can help you to avoid confusion and bad publicity. For eg: #photooftheday can be written as #PhotoOfTheDay for a more resounding effect. way of communicating. Similarly, for hashtags where you use them and how you use them matters a lot. Create a hashtag which resonates your motive for the desired audience. It should be consistent and unique. it should not be too long, it should be short so that people are easily able to recall it. Make your move wisely and use hashtags that do not get used too frequently, by doing so you eliminate the risk of competition from rival organizations. Hashtag marketing has helped many social media agencies to engage their target audiences effectually. You just need to have the appropriate knowledge on how you can incorporate hashtags to boost the quality of your content.